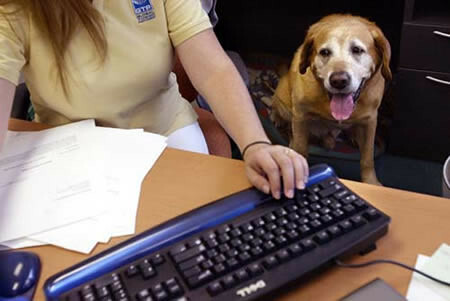 Take Your Dog To Work Day is this Friday, June 22. Your furry friend can come to work with you and see what mom and dad do to bring home all of that bacon! This day was created in 1999 by Pet Sitters International as an opportunity to show others the great bond that people can have with their pet and to encourage those without pets to adopt their own. We would love to see any pictures of your pet at work. Enjoy being in the rat race, Spot! 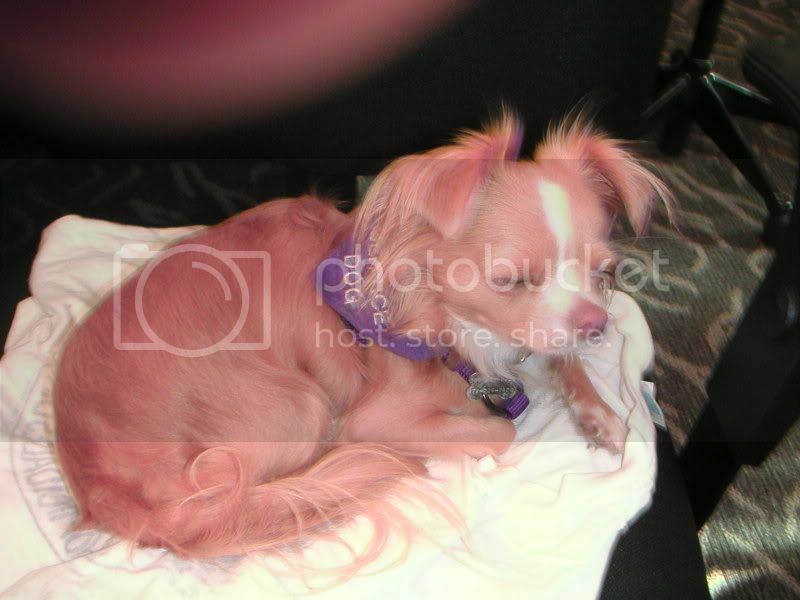 This entry was posted on Monday, June 18th, 2007 at 3:00 pm	and is filed under Cats, Dogs, National Dog, Cat & Pet Info, Events for Pets & Owners. You can follow any responses to this entry through the RSS 2.0 feed. Both comments and pings are currently closed. Stupid Web Hosting service… we’re for sure moving to a better place. Soon. Back up back up back up until then. My dogs are working dogs so one of them goes with me wherever I go. Most of the time I work from home but do occasionally go into the office. Tory doesn’t like being off my lap when I go in so I don’t have any pictures of her. I’m actually going in this week and will probably be taking her so maybe I’ll get a few. Pam - They’re adorable, and how lucky you are to be able to do your job with your doggies around you! Um, when’s take your CAT to work day? went through withdrawals without you today. the house is cleaner, tho. i actually had to bring one of my cats to work a month ago. there were problems getting a release time from the vet so i had to go to work, and was going to have to leave and pick her up, drive home and go back to work- but my boss said to just bring her to work and put her in the office. (it’s a bakery). she seemed to enjoy herself thoroughly- she propped herself up like a princess on the desk and stuffed her face for an hour. then nestled into the throne of power and began issueing directives from the computer.i thought she’d be real freaked out especially after a night in the hospital. she must recognize the scent of the place from me-she was totally at home. i draw the line at the office dog of our egg company though-it looks like a fancy drowned rat- they posted it last year at bring your dog to work day. no way i want that thing near my dairy products. i am very fortunate & am able to bring my dog to work with me every day. my work place is a happier place for it! My dog visited one day at the office and now there is a picture of him on three co-workers desks. They loved him. I happened to be on the phone with my boss when my boyfriend brought him in and when I saw him running to me, I hung up the phone! He’s a 4 lb long haired chihuahua. The want me to bring him back.